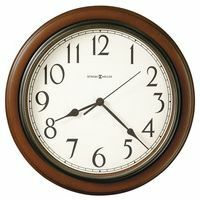 This tambour styled mantel clock features a decorative inlay pattern of multiple hardwoods. 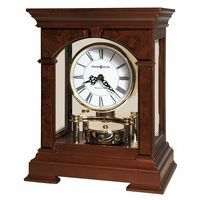 An arched molding crowns the case, while the base features a carved wood molding that wraps around the front and sides of the clock. Off-white dial features black Arabic numerals, with black serpentine hour and minute hands. 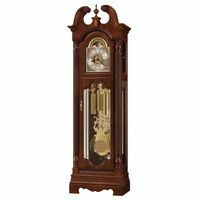 A polished brass tone bezel, and convex glass crystal.